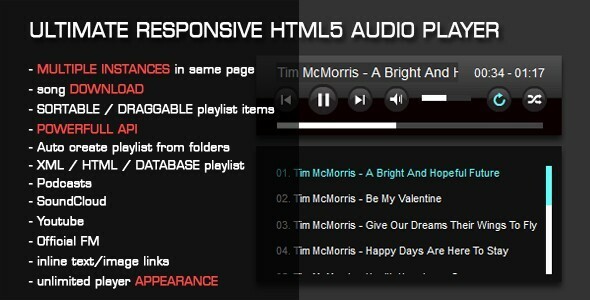 ULTIMATE RESPONSIVE HTML5 audio player with HUGE amount of options and possibilities. Restyle the player with css into pretty much anything! Check the demo examples to get you imagination going.